Who are the most important people to your organization: Customers? Donors? Employees? As a business owner or manager, connecting with the people who matter most to your success should be a top priority. Engaging customers, employees, partners, vendors, donors, volunteers and stakeholders is fundamental to the growth of any operation – whether you are running a Fortune 500 company or local non-profit. Community Cloud, powered by Salesforce, gives businesses the roadmap they need to manage these connections in a personal yet efficient way. Implementing the Community Cloud service, even the most basic setup, is often complicated without direction from an experienced, certified Salesforce developer. 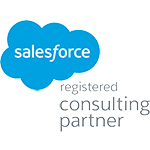 Openmind Technologies provides comprehensive consulting, integration and implementation services on all Salesforce solutions, including the Community Cloud service. Our Salesforce certified consultants can help map out Salesforce's Community Cloud service and set your business on the path to success. Why Choose the Community Cloud Service for Social Enterprise? Salesforce.com, inc., the cloud-based firm most widely known for its solutions to track sales efforts, announced its entrance into the social enterprise sphere several years ago with the launching of the Community Cloud service. Social-enterprise apps like the Salesforce Communities™ service employ the communicative and collaborative features of social media to improve business processes and workflow. According to ReCode: "Think LinkedIn, but just for your company, its customers and important business partners." The Community Cloud service provides companies with a way to connect to employees, customers, business partners and other key players of their organization. The Salesforce Communities service can be branded, which creates an environment for improved collaboration in the workplace and provides professionalism and authenticity in your marketing efforts. Propel sales by improving collaboration between employees and distributors, retailers, suppliers, etc. Enhance customer service by providing answers to questions all in one place. Consolidate and manage social listening, content, workflow and customer engagement. While there are numerous social enterprise applications out there, including software like Yammer and Jive, the Community Cloud service is the only solution that allows companies to create a Web presence for customer support that also "plugs" in directly to data about those customers from other Salesforce applications, such as the Sales Cloud® and Service Cloud® solutions. Because of these benefits and others, leading companies like Honeywell, GE, Toyota, Virgin America and Home Depot are already using Community Cloud to create sites devoted to helping their customers and employees. Strategic Implementation. Numerous factors must be considered when setting up and customizing your communities, from business requirements to size to privacy settings and more. Openmind Technologies can help you plan for the future. Setup & Maintenance. Enabling your Salesforce Community is a big step, and maintaining it to meet your business’s ever changing needs is even bigger. Security & Authenticity. From authenticating users to encrypting company data, keeping your community secure is a serious concern for every IT manager in the digital age. Design, Structure & Management. When out-of-the-box solutions simply won’t cut it, a Salesforce certified developer at Openmind Technologies can help develop custom pages, templates and features for your community. Community Management. Getting community managers, moderators and administrators to work together is a tall order. 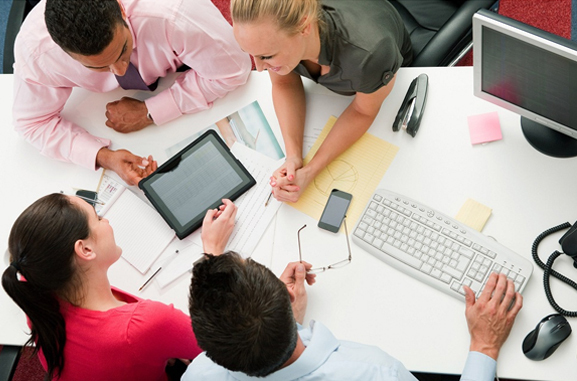 We can help implement strategies and tools for seamless collaboration. Custom Reporting. The basic Salesforce Community package provides a "starter kit" of reporting dashboards, but many companies benefit from custom reports to gain further insights into data pertaining to customer metrics, company growth, areas of weakness, and more. Team Training. The many features of Salesforce’s Community software are useless if your team or users don’t know how to utilize it. Salesforce training ensures that your organization is using communities efficiently and effectively to maximize ROI. To find out if the Community Cloud service is right for your company, talk to a Salesforce certified consultant at Openmind Technologies Solutions. We’re committed to help you find long-term, future-proof solutions that grow your business. Contact us about teaming up with our Atlanta-based firm and turning potential into profit.